Designer lingerie retailer Ann Summers has been forced to apologise after it named its latest range of new underwear line after an Egyptian goddess who happens to share a name with Islamic terror group -- ISIS. According to the company, they had chosen the name Isis for their latest brand of underwear several months ago, before the terrorist organisation came to public prominence. Image: an advertisement displayed in the window of an Ann Summers store in London. The range of eight garments are black-and-white in colour and offer a range of coverage and are on sale from the more than 100 stores across Britain and on the company’s website. The company chose the name Isis, who was the Egyptian god of fertility. However, she also shares a name now with the Islamic State of Iraq and Syria, who have since shortened their name to the Islamic State. 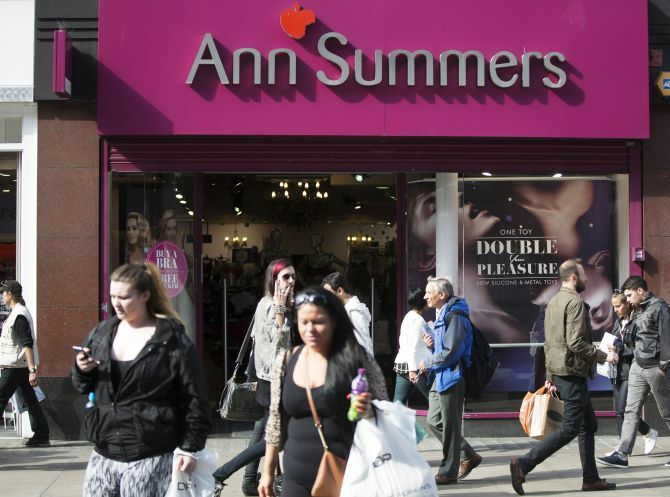 Ann Summers said they had no intention of pulling the controversial range of thongs, suspenders, and bras - both plunging and balcony - from sale.